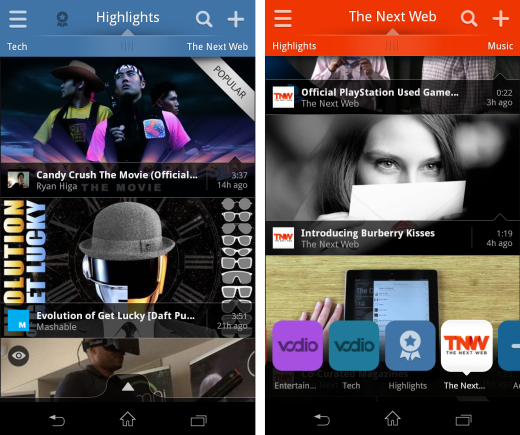 The video discovery app Vodio is now available to download on Android for the first time, following its iOS debut last year. In addition to releasing the Android version of its app, Vodio also said it successfully secured $800k of bridge financing led by New York seed fund RSL Venture Partners and BTG Pactual, as well as other angel investors. Vodio said the cash would be used to “expand its algorithm team and continue to grow its consumer base”. The video platform first launched on the iPad at the start of 2012, before making its way across to the iPhone in August last year, but from today is available on Android devices (running Honeycomb, version 3.2, or newer) for the first time. 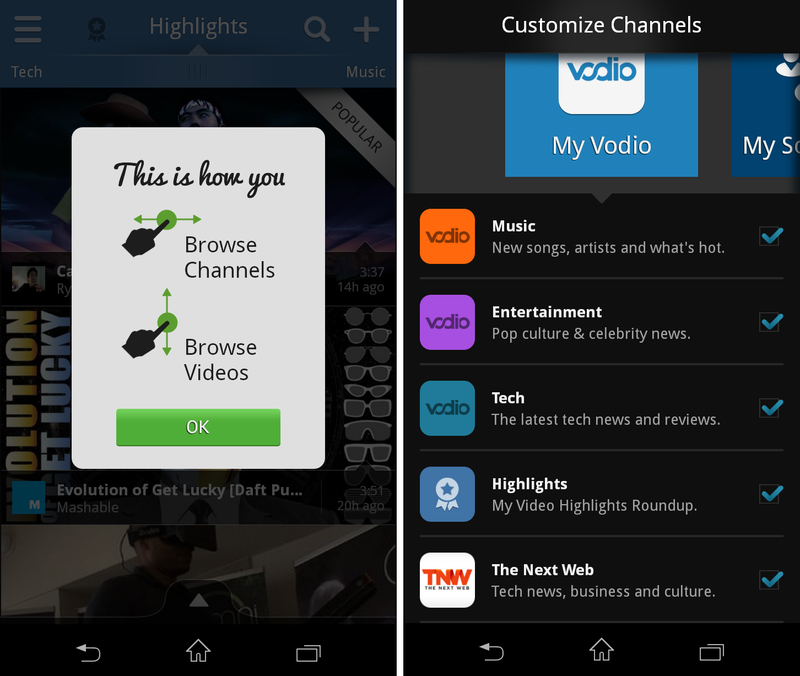 The company said that since it launched last year, Vodio users have watched more than one million hours of content spread across more than 30 million videos. Essentially, the service aggregates videos from news outlets, as well as YouTube channels you’re subscribed to and organises them into channels within the app, and staying true to its predecessors on Apple’s platform the Android version offers very similar functionality. On first load the app pre-populates your feeds with content from a number of news sources, with ‘Highlights’ (above) showing a round up. In addition to the pre-loaded feeds, you can also add your own – such as including The Next Web in your listings. Clicking through will show you your selected video. While the video is playing you can turn your screen from vertical to horizontal to switch into full-screen mode. It also pulls in any text information about the video and displays it below. In addition, there are on-screen controls for things like teaching the app the videos you like, and the ones you don’t, using the ‘thumbs up/thumbs down’ icons. The sharing icon allows you to (can you guess?) share a link or share it to other apps you have installed on your phone, like Facebook, Twitter, SkyDrive, Pinterest, etc. Naturally, there’s also the option of integrating social media accounts directly within the app – there’s also an option to automatically post every watched video to Twitter and Facebook if you do link your accounts. Navigation is simple, to move between different channels you simply swipe left or right and to see more videos you just swipe up or down and if you spot something you want to watch but don’t have enough time, simply tap the little on-screen clock icon to add it to your ‘Watch Later’ list. Hitting the options button on the top left (shown above the word ‘tech’ in the previous image), unsurprisingly, brings up the option to do things like link your social accounts, rate the app, check any messages or notifications you might have received or look up some help – generally, a one-stop shop for an overview of the app. The app’s arrival on Android will provide a new opportunity for the company to expand its reach and Vodio fans that have been jealous of i-owners since last year can finally get in on the action. In our testing, the app seemed to work well, with no real sign of lag when opening the app or perfoming actions. However, it did force close when trying to resume after switching away to another app. While the Android version available to download today only works on Honeycomb or newer, a version compatible with Android 2.3 and above will be available in the very near future, Vodio said.